The subs are only used with music that demands them. The LS3/5a's are not rolled off as I prefer to keep the signal as clean as possible. The sub amp/crossover/equalizer setup normally lives out of sight in the cupboards along with the equally ugly SACD player! 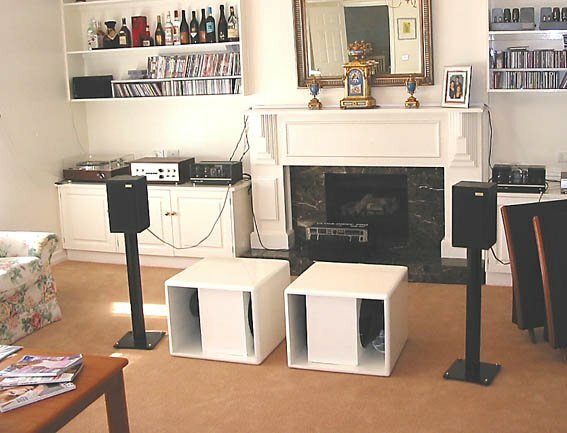 Although the subs are shown in the middle of the speakers they are normally used against the walls to increase natural gain and reduce nodes.